Dr. Naseem Majid is from the 1994 joining batch of DCMS. She got her Master Degree in Hospital Management (MDHM) from Apollo Institute of Hospital Administration, Hyderabad. She has 17 years of experience in health care industry, with keen interest in strategic business planning for new and existing hospitals. Dr. Majid currently serves as the Chief Operating Officer (COO) at FemCity Hospital in Hyderabad. 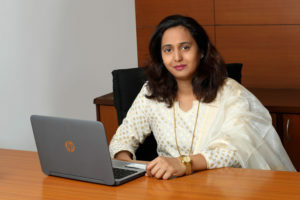 She has held senior managerial positions previously at MaxCure Hospitals and Apollo Hospital. She is one of the founding members of DCMS Alumni Association – DAA, and serves the Board of Directors as a General Secretary, ans steers the organization with immense energy and great vision.